Jyuugo is suffering from the effects of the drug that activates the power of the cursed seals. Somehow or another. 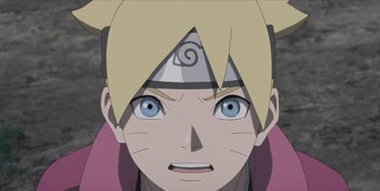 Boruto and Suigetsu want to try to save him, but they are rendered unable to move because of being injected with a tranquillizer. Meanwhile, it’s time for the migratory birds to set off. The birds that are harbouring the power of the cursed seal are getting ready to turn away and fly off to various places. Even though Boruto and his comrades are trying to hurry, there’s just too many of them. And then finally, Jyuugo transforms into a complete monster.